PARIS (Bloomberg) – Renault SA, which filed a criminal espionage complaint Thursday over EV technology leaks, kept the French government in the dark about its investigation, Industry Minister Eric Besson said. The minister, who visited Renault's main research and development center Jan. 4, said he wasn't told about a five-month probe at the company that culminated in the suspension of three executives a day earlier. The government, Renault's biggest shareholder with a 15 percent stake and two board seats, is waiting for more information from the company, Besson said. 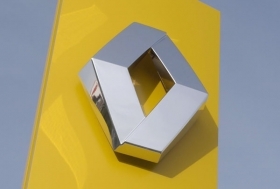 Renault, which acknowledged the suspected leaks Jan. 5 in response to French media reports, cited allegations of industrial espionage, corruption, breach of trust and theft in its court submission, without naming suspects. “I still have many questions about what happened,” he said, adding that ministers are so far aware of “very few findings” from Renault's investigation. Renault spokeswoman Caroline De Gezelle declined to comment on Besson's remarks. Chief Paris Prosecutor Jean-Claude Marin told reporters he had received Renault's filing and said the alleged crimes could carry jail time. All three of the accused managers have denied wrongdoing. Lawyers for Michel Balthazard, head of long-term product development and a member of CEO Carlos Ghosn's management committee, did not return calls seeking comment on the court filing. The other suspended executives, Balthazard's subordinate Bertrand Rochette and deputy electric-vehicle program chief Matthieu Tenenbaum, had no immediate comment, their attorneys said. The carmaker said all three face dismissal for “serious misconduct” following final disciplinary interviews that were held on Jan. 11 in accordance with French labor law. Renault and alliance partner Nissan Motor Co. have invested a combined 4 billion euros ($5.2 billion) in electric-car technology, including lithium-ion batteries developed by the Japanese carmaker in a venture with NEC Corp. to power its Leaf model and four Renault vehicles.